Every company wants to be known for excellent customer service, but when it comes down to it, very few can claim they’re truly stellar at it. Each year 24/7 Wall St. publishes the results of a customer service poll to find out which companies deserve to be in the Customer Service Hall of Fame and which ones have to settle for the Customer Service Hall of Shame. The stats come from surveys administered to 1,500 adults about customer service at more than 150 of the nation’s best-known companies. Amazon: 59.4% report excellent service, less than 2% report poor service. Chick-fil-A: 47% report excellent service, an increase of nearly 10% from last year. Apple: 40% report excellent service, an increase of nearly 5% from last year. Marriott: 39.2% report excellent service. Kroger: 38.6% report excellent service, less than 2.7% report poor service. Amazon has been topping this list for no fewer than six years. It’s no secret why, either, as the company has taken up customer service excellence as its core mission. As explained on the company’s Facebook page: “Our vision is to be Earth’s most customer centric company; to build a place where people can come to find and discover anything they might want to buy online.” Of course, it’s easy to put it on paper, but it’s another thing to actually accomplish it. Given Amazon’s number-one ranking in the Customer Service Hall of Fame, clearly the company is putting it’s money where it’s mouth is and making it happen. Having a fast food chain in the number-two position is very unusual, and Chick-fil-A is also improving from year to year. Most nationally known restaurants fall in the 20-30% range for customers rating their service as excellent. Apple is interesting to see in the #3 slot, and one can only wonder if their vastly superior product lines focused on delighting customers might leak over substantially into its customer service ratings. Marriott is another customer that puts a “people first” philosophy at the core of its mission and clearly puts it into practice as well. Having a grocery store in the #5 slot is also noteworthy. Many grocery chains have upped their customer service efforts as a way to distinguish themselves from giant box retailers like Wal-Mart that offer anything and everything, including groceries. What many don’t realize is that Kroger is actually the second biggest retailer in the country behind Wal-Mart. Comcast: 28.3% report poor service. DirectTV: 21.5% report poor service. Bank of America: 21.4% report poor service. Dish Network: 21.3% report poor service. AT&T: 18.8% report poor service. None of these companies have made it their mission to make customers angry, and yet they seem to excel at it. Cable/satellite and wireless providers seem to take poor customer service to new levels – probably because they face very little in the way of competition, so why bother, right? Wal-Mart, by the way, was in the #10 spot for worst customer service. 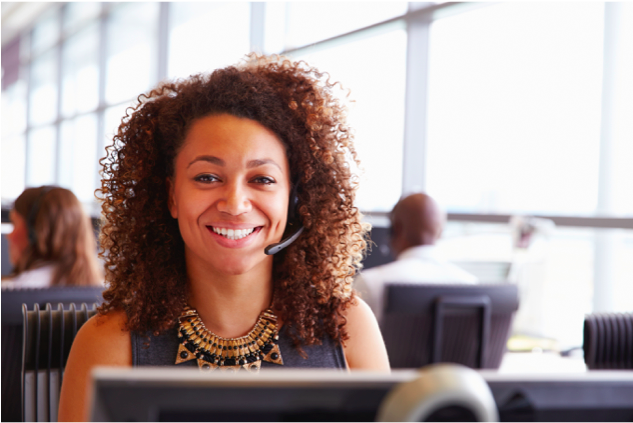 If you really want your company to succeed, then customer service simply has to be a priority. Customer Service Excellence (ID: CSE021) is an eLeaP course designed to make sure everyone understands the importance of customer service, especially in the digital age when a few bad reviews online can wreak havoc on your company’s reputation. The course is composed of seven different sections that cover all the important aspects of customer service, including positive attitudes, finding out about customer needs, various communication channels, handling customer complaints, and more. Role-playing scenarios are included to provide a robust and practical experience for learners. Sign up now for a free preview of this course.